The 72nd Annual Golden Globes aired last night and officially kicked off the awards season for 2015. The three-hour long awards show took place at the Beverly Hills Hilton Hotel and the venue was packed with stars and was hosted for the last time by Tina Fey and Amy Poehler, who did a mostly good job (The times they actually were onstage, which wasn’t a lot). I won’t bore with all the details of the award show, but I will take the time to highlight the good and the bad. 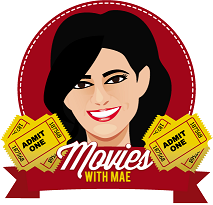 Then, you can check out the list of winners below! 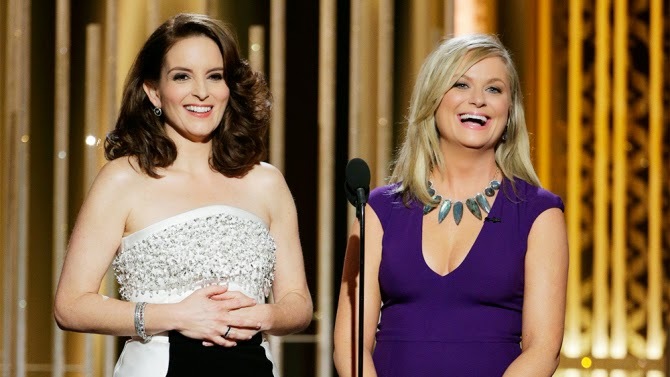 Tina Fey and Amy Poehler’s opening jokes. Especially the one where they list Amal Alamuddin’s achievements and joke that though the list is extensive, it’s her husband George Clooney who received the Lifetime Achievement Award. Best speeches: Common’s speech after he and John Legend won for Best Song, “Glory” from the film Selma. Some powerful stuff right there; Maggie Gyllenhaal’s speech about roles for women in Hollywood; and George Clooney’s acceptance speech, especially the part about how no one will remember what you won an award for, but will only remember your body of work. Michael Keaton and Gina Rodriguez’s emotional speeches. Anna Faris and Chris Pratt presenting together. Anna Faris: We have a mixed marriage. I’m CBS, Chris is NBC. Chris Pratt: But we plan to raise our kids HBO. Don Cheadle and Julianna Marguiles presenting George Clooney his award. Don Cheadle: I was in Ocean’s 11, 12 & 13 with him. Julianna Margulies: Who wasn’t? Later on… JM: We did ER together. I kissed him! Cheadle: Who hasn’t? Ricky Gervais’ semi-rant. He did an Emma Thompson and brought his drink up on stage. Tina Fey and Amy Poehler’s jokes about Bill Cosby fell completely flat. Tina Fey and Amy Poehler practically disappearing for the rest of the night. Most everyone took forever to get from their table to the stage. And the venue wasn’t even as big as they tried to make it out to be. Watching the usually wonderful Bill Hader and Kristen Wiig trip over their badly written lines. Really, who writes these things?! The all-around silliness of the Golden Globes and the three tedious hours it takes to watch them. Amy Adams’ acceptance speech. Half of it seemed incoherent even though you know what she was trying to say, it was still painful to watch her get through it. You can check out the list of categories below! The winners are in bold. “Pride,” Pathé Productions Limited, British Broadcasting Corporation, The British Film Institute and Calamity Films; CBS Films Inc.